The hottest trends for AW18 are here! We’re ready with our top picks for this season’s must-have styles with six key pieces. Discover your autumn look whatever your style. Keep reading for your style inspiration, straight from Laura Ashley’s fashion team. If you’re looking for an easy way to update your wardrobe this season, look no further than our brilliant stand-out check printed skirts. Wear this Pleated Check Skirt with a long sleeved tee for a casual weekend look, or elevate with a blouse and pumps when headed to work. The high-waisted fit is just perfect — and it will look good worn out for a Sunday lunch or running to meetings. Your next big look has been handpicked; this stand-out Posey Floral Print Tee is our new favourite for casual wear. We’re loving this hero piece as part of our weekend wardrobe, worn with dark denim and booties. Pair it with trousers and a classic cardigan for the office! 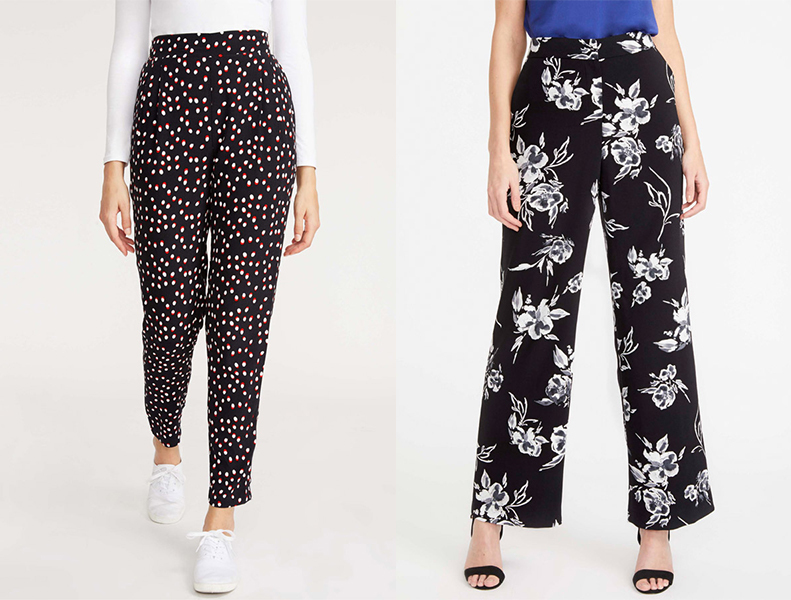 Bottoms come out on top with our printed trousers creating bold looks. Whether you go for a minimal shadow spot print, or fun florals, our collection is the best thing to buy this season. When it comes to trousers, the bolder the better. Tuck in a crisp white shirt and pair with smart white trainers, or wear on the school run with a comfy oversized knit. And if you can’t quite choose, there’s no harm in buying both! 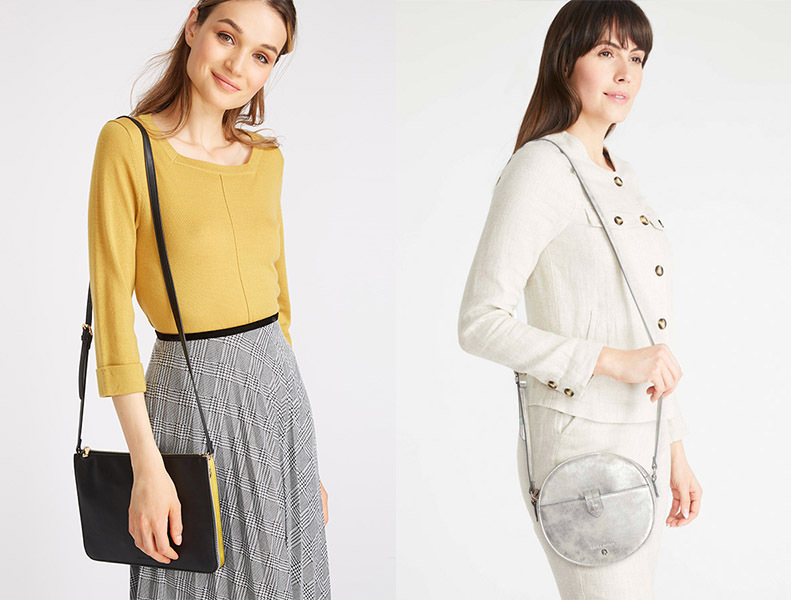 Throw-on-and-go style is at your fingertips with our collection of lovely cross body bags. Whether you’re running late, going to get the kids from school, or spending a day in the city, this versatile style is big enough for all of those everyday essentials without feeling like a large, heavy shopper. Offered in multiple colours, you can pair one with every outfit of the week. These bags are brilliant additions to any autumn wardrobe. Our poncho is perhaps the most practical (and cosy) item to invest in for autumn and winter. Layer over your favourite knitted jumper, pair with ankle boots and enjoy the crisp cold weather. We couldn’t think of any better way to stay warm and stylish. 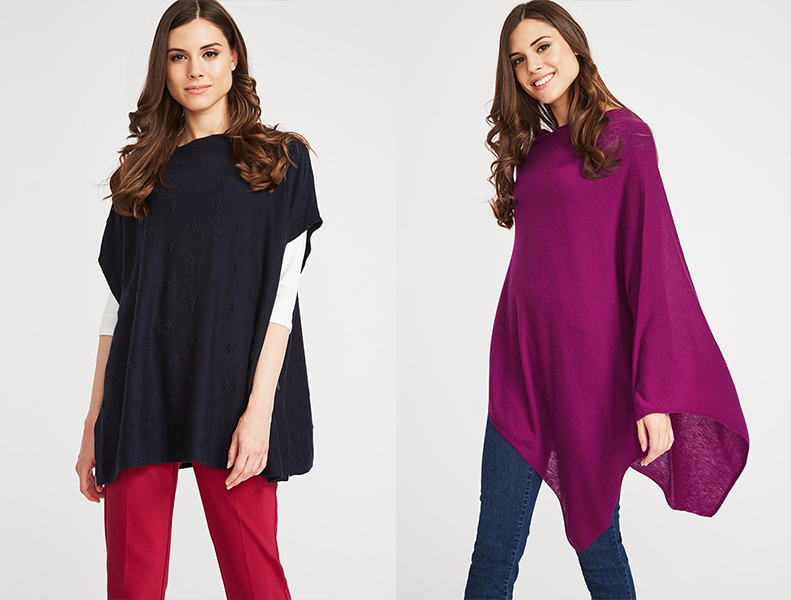 If you’re after something with more of a statement colour, our ponchos also come in a brilliant bright colourway, so there really is something here for everyone. Wrap up, head outside and keep warm in our cosy cover-up. What is your favourite item from our edit? Let us know your thoughts over on our social media accounts @LauraAshleyUSA or by tagging #LauraAshleyUSA. This entry was posted in In Style and tagged aw18, black and white pants, black and white trousers, business casual style, casual style, check skirt, cold weather outfits, cold weather style, cross body, cross body bag, crossbody, crossbody bag, Fall, fall fashion, fall outfits, fall style, fall trends, fashion, floral tee, grey skirt, handbag, laura ashley, laura ashley fashion, layered outfit, layering pieces, midi length skirt, midi skirt, outfit, outfits, plaid, poncho, printed pants, printed trousers, purse, short sleeved poncho, style, trends, versatile pieces, weekend outfits, Winter, winter outfits, winter style, winter trends, women's fashion, womens style, work outfits. Bookmark the permalink.